The world class escape rooms of Budapest have redefined entertainment. The games require creativity, logic, teamwork and persistence at the same time from all the players. The whole point is to be able to work together as a team, yet unfold all team members’ individual talent. All the escape rooms are based on exciting stories, so you can never get bored since all the games are unique. The history of escape rooms starts in Hungary and Japan where the first gaming places opened. Nobody knows which country started it first, but it’s not important at all. About the intellectual history they can be linked to the ’80s point-and-click videogames, where the player had to use surrounding objects to make it to the next level and solve mystery puzzles. The other inspirational source is obviously movies like Cube, where the characters had to escape a closed labyrinth while their lives were in danger. Of course it was just a movie, escape rooms are free from any horrors, there aren’t any sudden scare pranks, as that is not the purpose of these games. The gameplay itself is fairly easy, but that’s probably an enjoyable value in escape rooms. The players, usually 4-6 person, are locked in a room and they have one hour to get out somehow. The tematic rooms have stories as well, so the teams have to solve themed puzzles and riddles too. All the objects around, the pictures, patterns, or a combination of these can reveal the solution. You can never know what you can use an object for, so you should collect all the signs and clues which can be connected to the story. Sometimes the key is that you have to arrange them by a certain logic so they can bring you closer to the answer. There are locks to crack, timers to disable, puzzles to figure out. From room to room, all the various tasks are totally different in difficulty level as well. If you need help, you can always call the Game Master to give you some hints. If you want to win, you’re gonna need a great team. Invite your friends, family or colleagues and solve the mysteries together! A winning team usually has very different members, one is better in logical thinking, the other one is better at visual thinking, or has terrific combination skills. This is half of the gameplay, while the other half is teamwork. To escape in time, you have to work together and still fully utilize all your teammates best abilities. No boss is necessarily needed, but you should divide the tasks to make it in time. 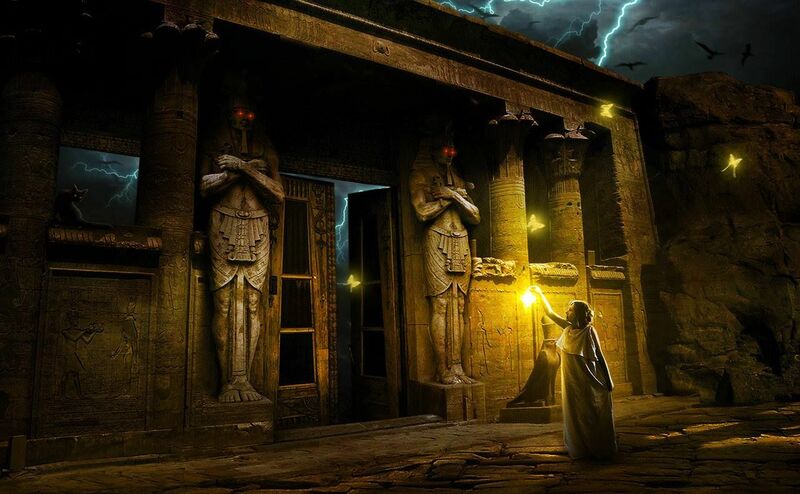 The escape rooms always reflect on a different story, from time machine stories to ancient egyptian rooms or the legend of the cathedral’s monks. These are just a small part of the stories waiting for you! For every theme there is a uniquely designed room harmonizing with the tematics. We spent a lot of time on the looks with the help of artists and interior designers. Undoubtedly, the finest escape rooms of the world are located in Budapest according to hundreds of reviews! Escape rooms are good for team building activities, because they incite to connect each other through a lively adventure - yet it’s favoured by friend groups as well because of all the common experiences it can offer. There are many groups which start their bachelor or bachelorette parties here, since the fun and creative games can easily establish the mood for partying all night long. It’s a perfect birthday present as well for those who prefer experiences as gift instead of objects – in this case, who wouldn’t?